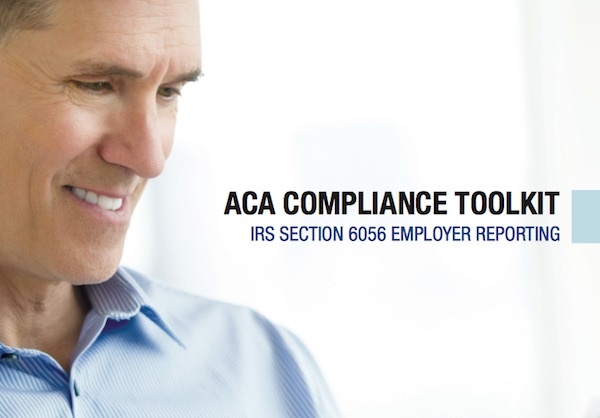 I’m pleased to share with you this exclusive IRS Section 6056 Employer Reporting Data Calculator, Toolkit, and Reporting Chart. The Internal Revenue Service requires 50+ full‑time equivalent (FTE) employers with fully insured plans to report information on coverage offered to their full-time employees as part of the Affordable Care Act (ACA). Reporting was voluntary for 2014, but reporting is required for the 2015 calendar year. Download your Toolkit today and watch for your IRS Section 6056 Employer Reporting Chart with your large group case approval. This chart (click here for sample) identifies the lowest cost plan offered with minimum value for each enrolling employee. It also shows the monthly amount each employee would pay for employee‑only coverage on that plan (regardless of which plan they actually enrolled on). This saves employers valuable time in completing IRS reporting forms. If you have any questions about the new employer reporting requirements, let me know.